What all thoughts come to your mind while you plan to upgrade your restaurant services in order to enhance your customer's experience? Maybe better infrastructure, expanding your cooking staff, implementing more technology tools. And what else? If you don't have anything else in your mind, then there are chances that you still lack behind from your competitors. It's time to think out of the box and realize what the customers are expecting from your restaurant. In the ever running world which outdates the existing technology every moment, it becomes a necessity to channelize our investment properly to get better outputs. And when we talk about the food industry, there is stiff competition in the market. The minute you look for a restaurant in your street, you get a large number of eateries adjacent you, offering to energize with good offers. Agree? Presently the fact of the matter is, where does your restaurant stand out of all this huge competition? Is your restaurant offering something additional from others and does it has an exceptional brand name in the food industry? 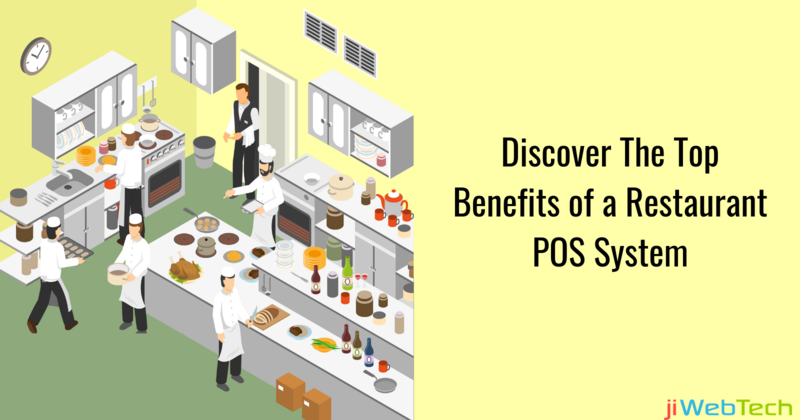 In this advanced innovative world, different restaurateurs have the component of POS "Point of Sale" framework and are encountering its advantages extensively. Till date, POS frameworks were utilized for payroll generation and online payments for customers. But with time and advancement in technology, POS has enlarged its scope by offering a simple approach that deals with all the significant tasks carried out in an eatery. Here’s how a digital menu POS system is going to benefit your restaurant and help in enhancing the customers dining experience. Easy food ordering: Since people complain that they have to stand in long queues to place an order, POS system makes food ordering hassle-free by introducing food ordering right from a tablet. Yes! Customers can now order food right from their table and place the order over the tablet quickly. This will save the customers time and will make the operations hassle-free on your end too. No scope of errors: While your restaurant staff takes order manually, there are chances that during the peak hours, they might take incomplete orders or might mix up the orders. Isn't it? It would have happened with you at least once. As the POS system takes the orders automatically and forwards the accurate orders to the kitchen area, it eliminates the chances of committing any mistakes or missing any orders. Table Management: A majority of restaurant staff finds difficulty while managing the tables i.e. checking which table is vacant and how to manage the guests accordingly. But implementing a POS system in the restaurant will let you check the availability of tables and manage the tables in real time. No hassle while checking the vacant tables and delivering your guests the best dining experience, what else do you expect? Progress & sales analysis: Analysing how much sales and profits you have made this month might seem difficult when done manually. There are chances that you might have some food categories which aren't acquiring any sales for a long time. POS system lets you figure out the complete sales you made in the past few days and get a clear idea about which food items are more preferred by the customers. This will help you in updating your menu list and in deleting unnecessary food items from it. Quick & easy payments: Instead of making cash payments, people prefer doing online payments. Right? POS system lets you do that and saves the customers time while giving them quick receipts of their food orders. Looking for an ideal restaurant POS system for your restaurant? You can count on us. We are one of the trusted POS systems which are perfectly designed for all-sized restaurants. You can try our services or get assistance from our experts in case you have any queries. Grab the opportunity and enhance your customer's dining experience right now.